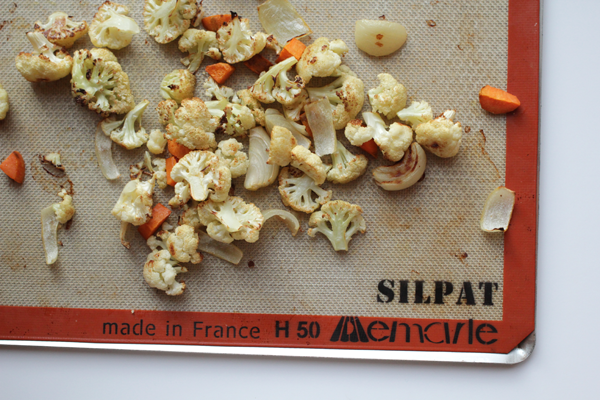 The Silpat is a non-stick baking liner. Basically a mat that you place on your cookie sheet that creates a non-stick surface for everything you place in the oven on said cookie sheet.Â It replaces parchment paper and because of its non-stick properties you never need to spray it with cooking spray or butter it.Â It is totally nonstick, and requires no grease, no oil, and no spray.Â Because nothing sticks to It! 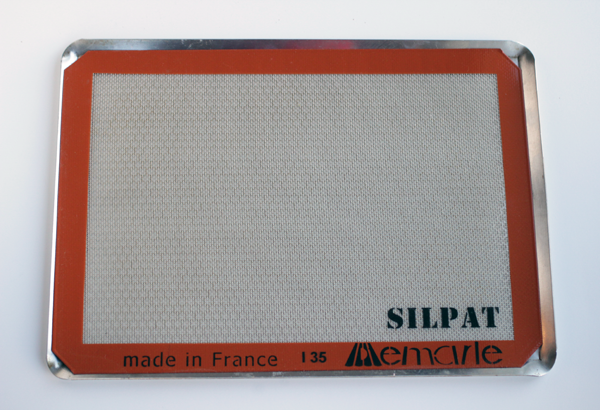 What is a Silpat made of? The main thing you need to know is that it is NOT plastic. of any kind. The Demarle at Home SilpatÂ® is made of an amazing marriage of silicone and woven glass, which not only capitalizes on the nonstick characteristics of silicone, but also the heat conductivity of glass. We all know glass is the perfect heat conductor- think about all those pyrex dishes you and your grandmother have been using for decades, when put together with food grade silicone you get the non-stick quality plus perfect baking conditions. The result is literally perfectly baked food every time (as long you donâ€™t forget to set the timer)! Not reactant with or leach into food nor outgas vapors. Kosher-Pareve certified for pre-baking, baking, and freezing. What do I do with a Silpat? 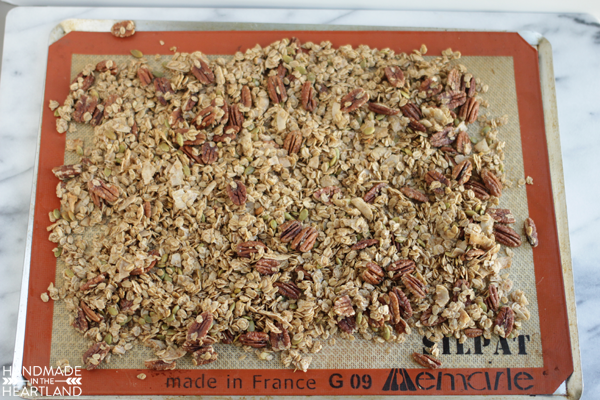 Anything and everything you do on a jelly roll pan or cookie sheet you should be doing on a Silpat with a perforated baking sheet under it. I bake cookies, roast vegetables, heat up tater tots, fish sticks and pizza rolls (can you tell I have children? ), bake biscuits and scones, make nachos and endless other things. Outside of the oven I use it for no-mess caramel corn and placing chocolate covered strawberries or other candies on to cool and harden (the strawberries peel right off, ahhhhmazing!). Top 3 Reasons I LOVE my Silpat! You can also use the split as a â€œlidâ€� for baking casseroles and such, just lay it over the top of your baking mold or dish and you don’t have to â€œcover with aluminum foilâ€� any longer! Where do I get a Silpat? 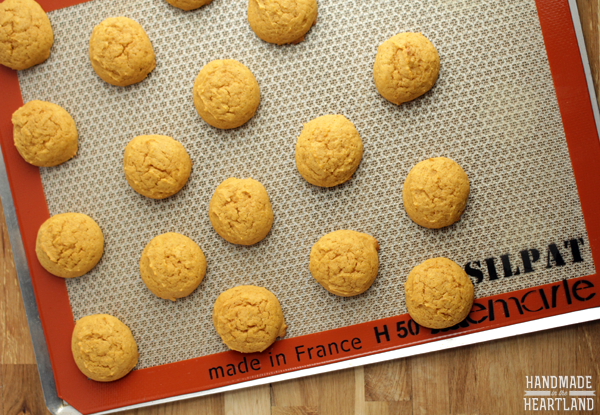 Click HERE to purchase a Large Silpat or HERE to purchase the Silpat with the perforated baking sheet. 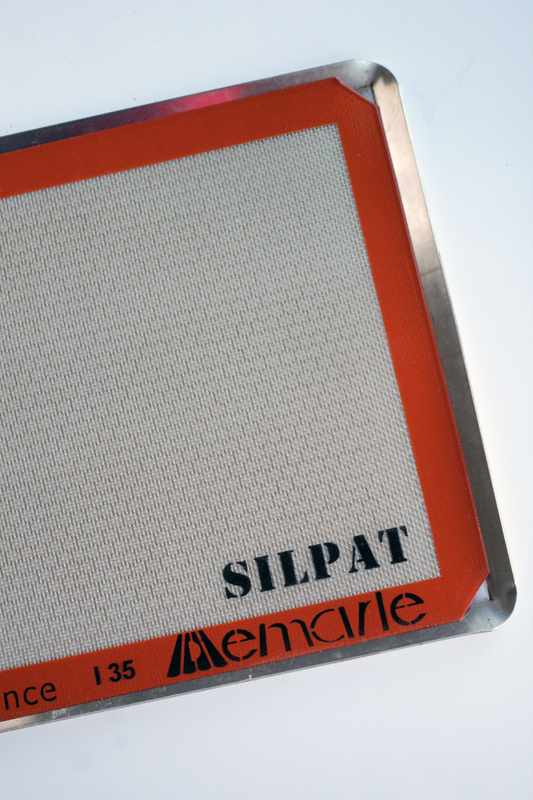 If you purchase a Silpat let me know your thoughts and if you love it as much as I do!